CMOS imaging sensors are the most common today as they are now cheaper to produce and can provide great results. The APS CMOS system is called “active” because each pixel has its own amplifier. 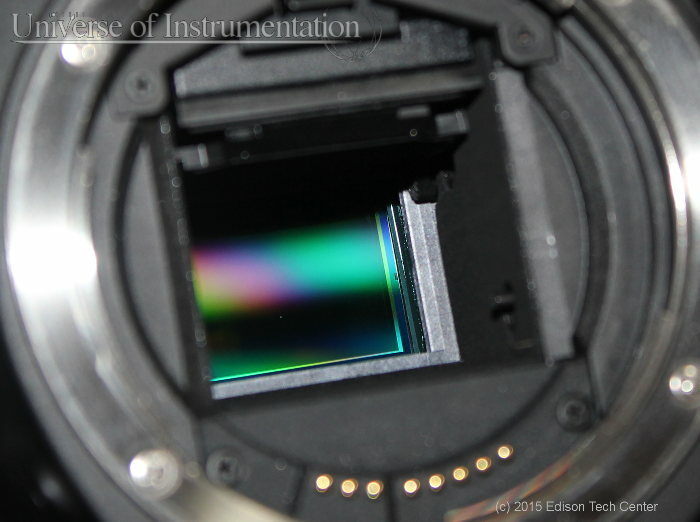 A CMOS sensor on a Canon 60D. Modern CMOS sensors have excellent ability to work in low light, are low-cost to produce and dominate the market. This APS-C sensor from Canon (22.2 mm x 14.8 mm) is smaller than the full-sized 35 mm standard. More on the APS-C sensor. Ari Presler talked to us about basics of how the CMOS sensor works in our Quick Facts series where we have an engineer explain “how it works” in a one minute timespan. Over time we will expand our material on this page.